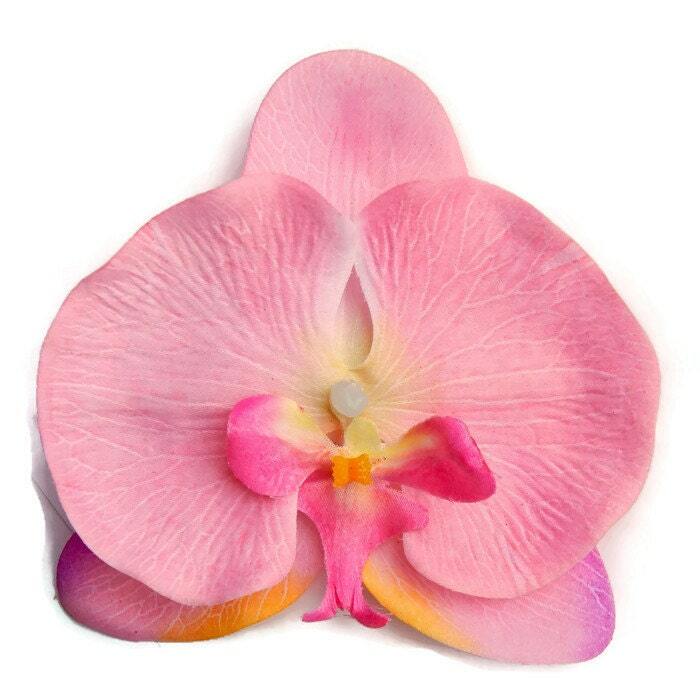 This gorgeous pink orchid hair flower measures approximately 4" across and is backed by an alligator clip. 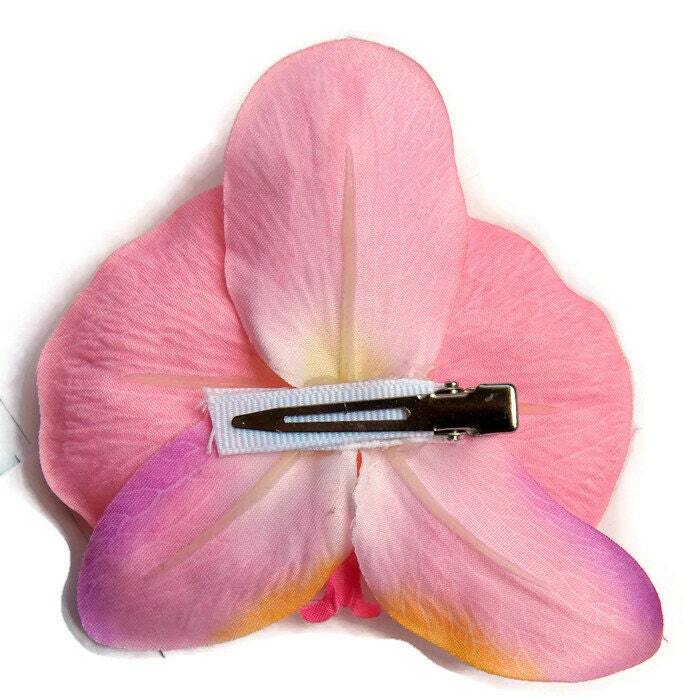 The perfect accent to your swimwear or dress, this hair clip will have you looking like an exotic retro bombshell. This is so adorable. I love the bright and happy colorful shades of these orchids. You can't really find them in these colors elsewhere. Thanks!